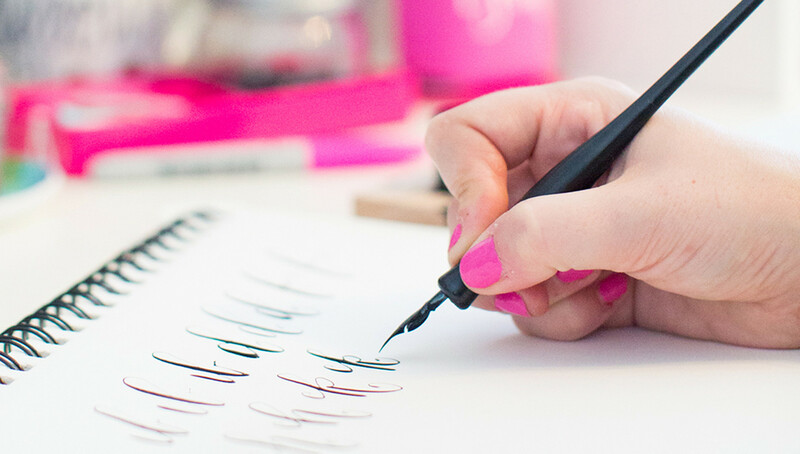 Ready for even more exciting ways to spice up your handwriting? Calligraphy artist Maghon Taylor of All She Wrote Notes is back for another look at how to create your own unique hand-lettered projects! Maghon delves deeper into the art of calligraphy by sharing more advanced techniques for creating your own uppercase alphabet and adding the perfect details to your lettered pieces. Plus, you’ll learn plenty of tips and tricks for using gouache and other supplies to create projects bursting with one-of-a-kind flair! Note : You’ll be using skills taught in Calligraphy 1 in this class. If you missed out on Calligraphy 1 earlier this year, please check out the Calligraphy Bundle for a chance to enroll in both classes at once. Class will begin October 18th, 2016! See you in class! This is one class I won’t miss for sure!